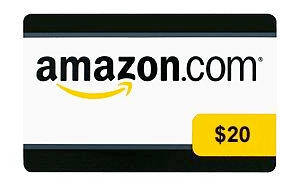 Get a free $20 Amazon.com gift card! All you need to do is create an itsThoughtful.com account. Then simply invite friends via Facebook, Twitter or email to sign up for the Valentine’s Day Contest. Refer 15 friends by 2/14 and you’ll score a free $20 Amazon gift card! If enough people sign up via through this link, I’ll host a giveaway for an Amazon gift card for one lucky reader! Make sure to click the link in the confirmation email! EXPIRED: HOT: Free Fitness Ball from 24 Hour Fitness and More! Free Thermacare Patch!